If you are interested in our bismuth, please feel free to , contact us. We also offer bismuth crystals in various shapes and sizes! 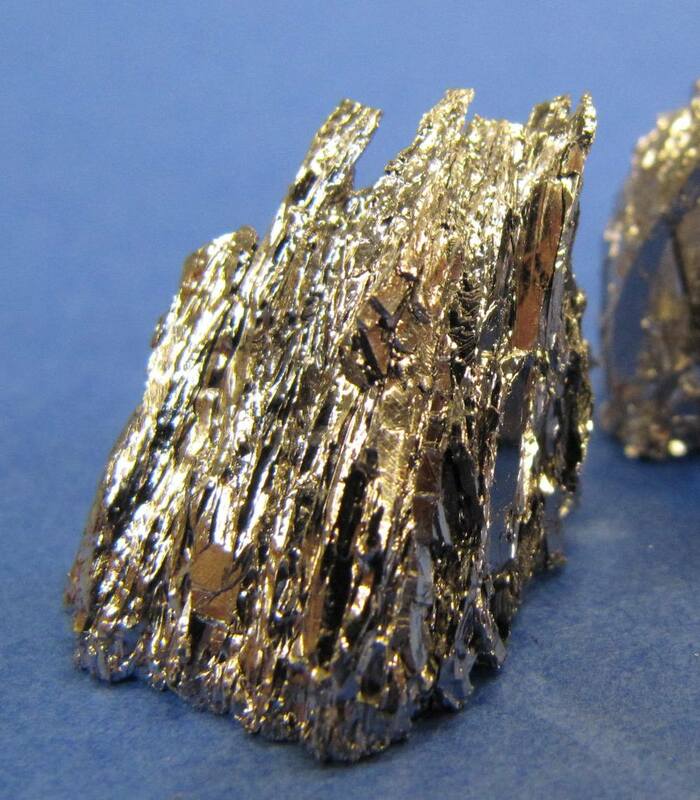 Alloys are the biggest application field for metallic bismuth. Many bismuth alloys feature a melting point below that of bismuth and also of the other alloying elements. The most important low melting bismuth alloy is named Wood’s metal after the American dentist and inventor Barnabas Wood. 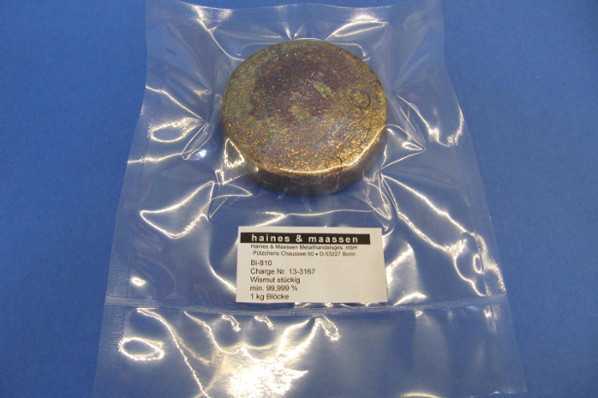 This alloy consists of 50% bismuth, 25 % lead, 12.5 % tin and 12.5% cadmium and has a melting point of 60 – 71 °C (different melting points for bismuth alloys are stated in literature). In its composition Lipowitz metal is very similar to Wood’s metal and has an identical melting point. Other alloys with bismuth (and lead) are for instance Lichtenberg metal (melting point 96 °C) and Rose’s metal (melting point 94 – 105 °C) with 50% bismuth each and changing percentages of tin and lead. 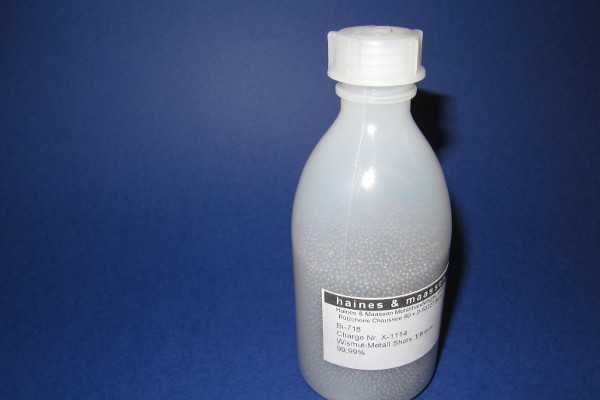 Without cadmium and lead a eutectic bismuth tin alloy with a melting point of 138 °C can be produced (RoHs-compliant). Further information on low melting alloys can be found here. 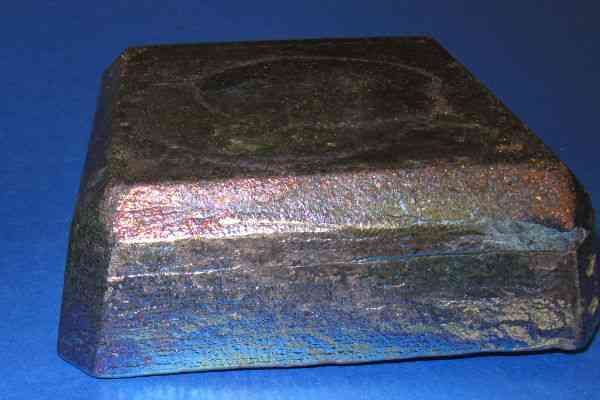 Another alloy consisting of bismuth, lead, indium, tin and cadmium reaches a melting point of below 50 °C. See also indium (low melting) alloys. Low melting bismuth alloys, in particular Wood’s metal are for instance used for fuses in fire detectors (sprinkler installations). In the melting range of Wood’s metal the more expensive indium bismuth resp. indium bismuth tin alloys would be an option. As bismuth like gallium and germanium expands during solidification it is used as additive to lead resp. zinc alloys for mold casting in order to have the advantage of a perfect reproduction of objects (tin figures, since Gutenberg for lead types in book printing). Due to its similarity to lead bismuth is increasingly used as a replacement for lead for instance in bismuth zinc alloys for electroplating or for the production of fresh water pipes. This is probably one of the reasons why the bismuth price is steadily going up lately. To our knowledge naturally occurring bismuth is not radioactive. The name of the company "Wismut AG" was explicitly chosen as camouflage for uranium mining. The second main application field for bismuth besides bismuth alloys is the pharmaceutic industry. Bismuth is for instance used in antiseptic burn ointments or powders. Very pure bismuth has got a high capacity for the absorption of gamma rays. Bismuth has got diamagnetic properties, which means that no matter if bismuth is approaching the north our south pole of a magnet it will be repelled. In tests one can show diamagnetic levitation (one can get a magnet floating between bismuth plates). However, gravity is bearing a greater force upon this magnet. This can be balanced for instance with a further magnet which is counteracting the gravitiy. Theorectically bismuth can also levitate on an adequately strong magnet – one should however consider the high specific weight of bismuth. Bismuth tends to form crystal structures. This makes bismuth a popular starting material for crystal growing. Bismuth was already discovered in the 15th century. The English term bismuth derives from the German term Wismut ("white mass"). In nature bismuth occurs mainly as bismuth sulfide. Commercially bismuth is however mainly recovered as by-product in the production of other metals (copper, lead/zinc and tin) with the exception of two pure bismuth deposits in China and Bolivia. The worldwide mining production amounted to abt. 7.600 t in 2013 (after 8.200 t in 2012). China is highly dominant in the bismuth production as well as in the proven bismuth reserves. Besides the primary production recycling of bismuth is also important – however reliable figures cannot be found.